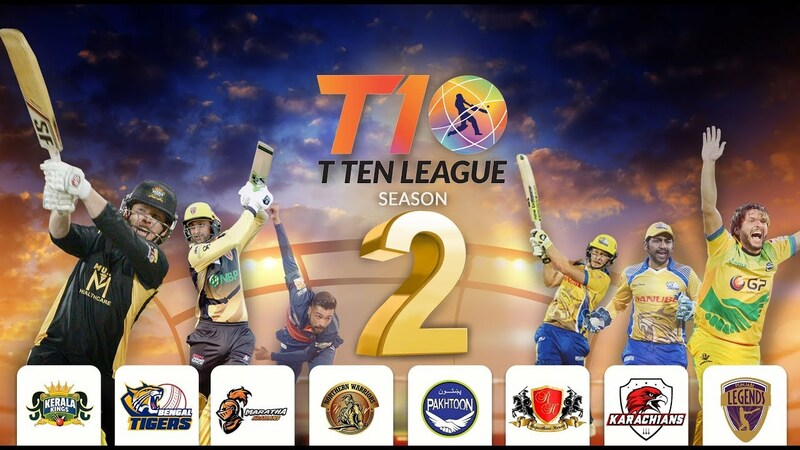 The 2nd season of the T10 League — the world’s first International Cricket Council-recognised 10-over cricket league — will be played this year from November 23 to December 2 with a new franchise representing the city of Karachi. The Karachians are one of two new teams added by the UAE-based league to its now eight-team pool. The other new entrant goes by the name of Northern Warriors. The revolutionary 10-overs-a-side league was launched in 2017 to popularise the game of cricket in its shortest format, in which games conclude within 90 minutes as the competing sides are allotted only 10 overs or sixty balls each to thrill the crowd. “The T10 League is gaining ground with the formal recognition of the International Cricket Council and the interest shown by the stakeholders that encouraged us to add two new teams to the league,” said league chairman Nawab Shaji Ul Mulk. Shahid Afridi, Shane Watson, Eoin Morgan, Shoaib Malik, Sunil Narine and Darren Sammy are some of the top names that will feature in the 2018 edition of the T10 League.